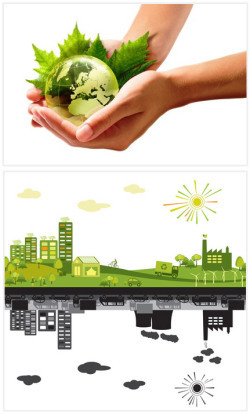 We at Global Data Center, Inc. understand the impact that a business or individuals can have on our environment. Unfortunately, our planet’s fragile eco-system is susceptible to negative environmental impact due to industrialization and growing human infrastructure. Sustainability of our environment involves making decisions and taking action that is in the best interests of protecting the natural world, and in particular, emphasis on preserving the capability of the environment to support not only human life, but all species. Global Data Center, Inc. continues to be part of the environmental stewardship by making responsible decisions that will reduce its business’ adverse impact on the environment. It is not simply about reducing the amount of waste we produce or using less energy, but also an effort with developing processes that emphasize eco-friendly, and sustainable business methods. We pursue an ecologically work environment by finding innovative methods to cut energy consumption, water conservation, reduced use of paper, and packaging material. Copyright© 1995-Present, GLOBAL DATA CENTER, INC. All rights reserved. published, translated, hosted, or otherwise distributed by any means without explicit permission of the GLOBAL DATA CENTER, INC. This function has been disabled for Global Data Center.